Hey guys, I got a job! 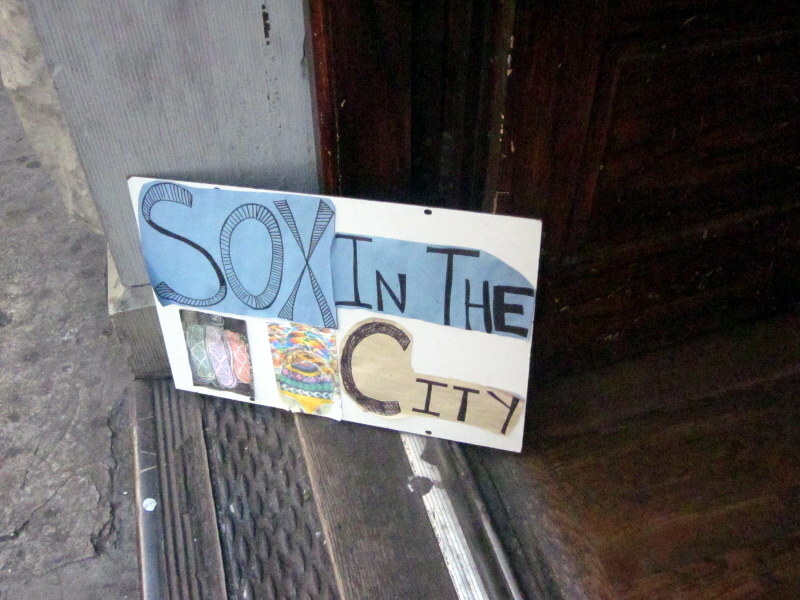 Sox in the City is a pop-up shop in a restaurant that shut down on St. Marks in the East Village. 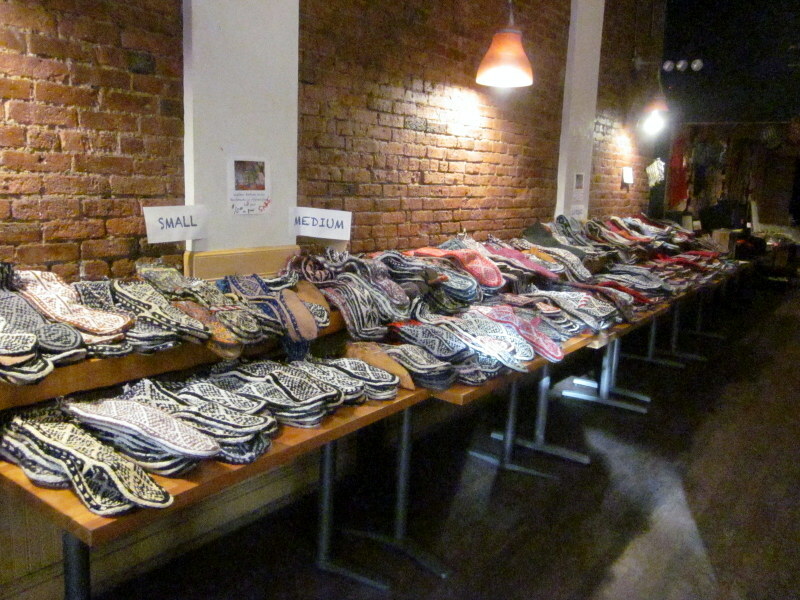 While the landlords are waiting to sign a lease with a new restaurant they are selling handmade slipper-socks, wool hats and mitten0gloves, all crafted by a tribe in Afghanistan. The socks are actually the most comfortable thing in the world, I don’t want to leave my house because that means I have to take them off! Ever pair of socks is different and they are all so beautifully made. 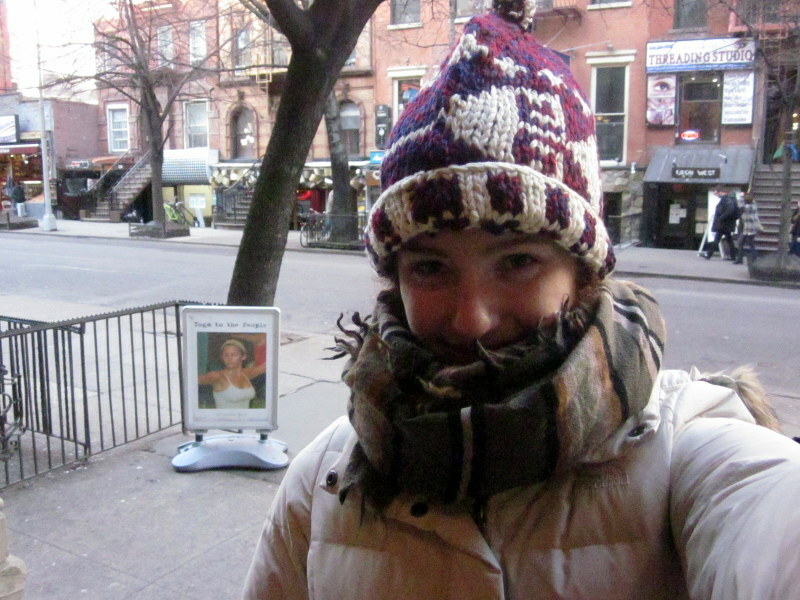 They are actually knitted out of old sweaters imported from the U.S.! My job is pretty sweet but the doors are always open so it’s freezing cold. Like my hat? Another perk of the job. Since I’m always so cold, and there is a Thai restaurant right across the street, all I want when I leave work is hot, spicy, greasy Thai food. Unfortunately, take-out is not friendly for my wallet or my waistline so I set out to create my own Thai-inspired meal. 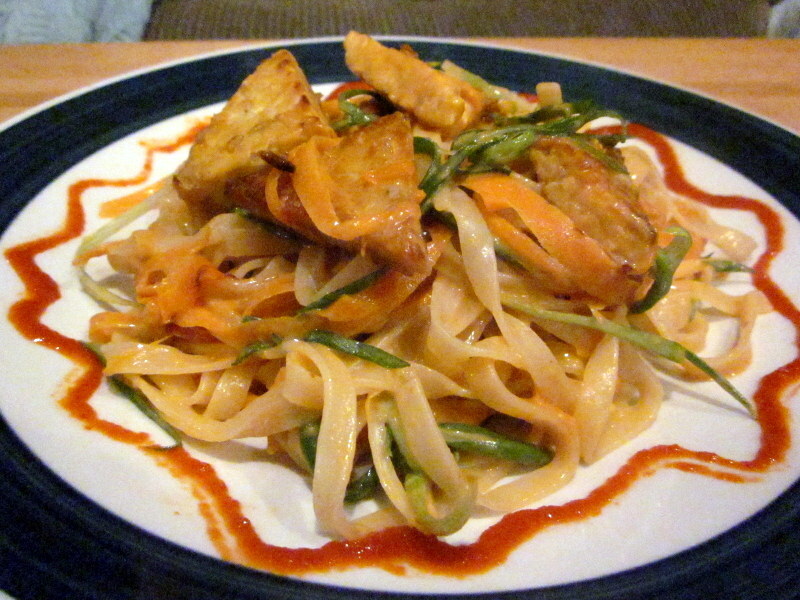 This recipe is by no means authentic Thai food and I hesitate to even call it that, but it contains the aspects of Thai that I crave: spicy, creamy, peanut-y and noodle-y. Put a pot of water on to boil. Mix the sriracha, pb, tamari and ketchup in a bowl. Once the water is hot, add 1/4 cup to the sauce mixture along with the coconut milk, stir until combined and set aside. Get the noodles going in the boiling water. Put a little olive oil in frying pan and once it’s hot, add the tempeh triangles. Once they are browned, flip them over and add the carrot. When the noodles are done, drain them and add them to the frying pan (turn off the heat) along with the sauce and scallions. Toss everything together with tongs until the noodles are sufficiently coated and serve it. I dare you not to enjoy this healthier-alternative to Thai takeout! I was walking home today and I wanted to buy granola at the farmer’s market since I had some yogurt in my fridge and nothing to go with it. Unfortunately my plan was ruined because I had no cash and was too lazy to go to the ATM. 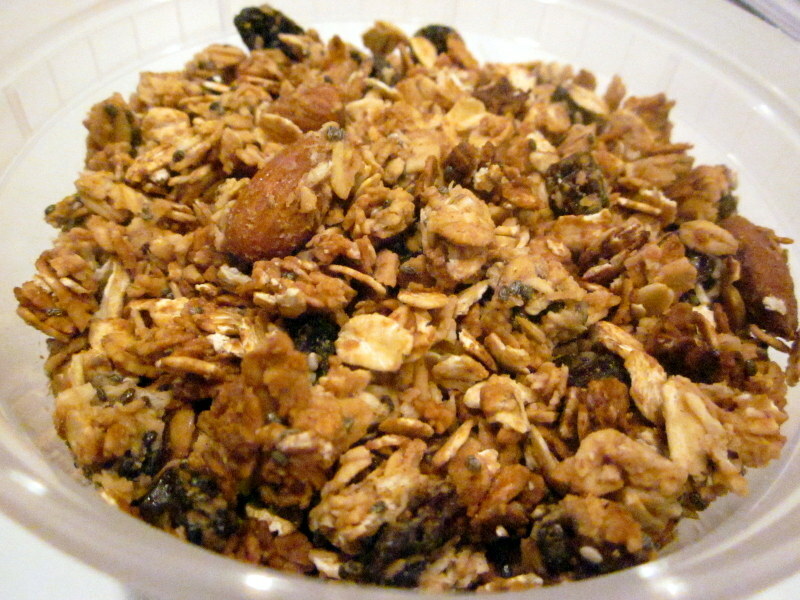 I couldn’t let my yogurt go uneaten so this granola recipe was born. Preheat the oven to 325F. Whisk together the wet ingredients in one bowl and combine the dry ingredients in another. Add the dry to the wet ingredients and mix with your hands until every oat is coated with the honey mixture. Spread out on a sheet pan and bake for 15-20 minutes, making sure to periodically stir the granola around so the outer edges don’t burn. Once you take it out the over, don’t be worried if it’s not completely dry, it will crisp up as it cools. 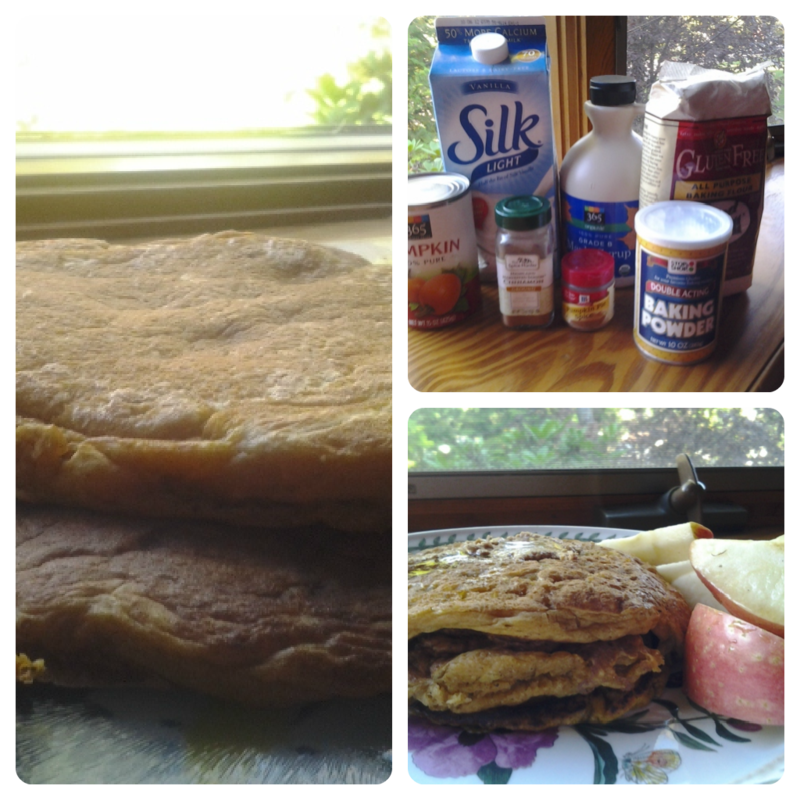 This was honestly one of the easiest recipes I ever made; it came together in no time! I’m definitely going to make all my granola from scratch from now on. 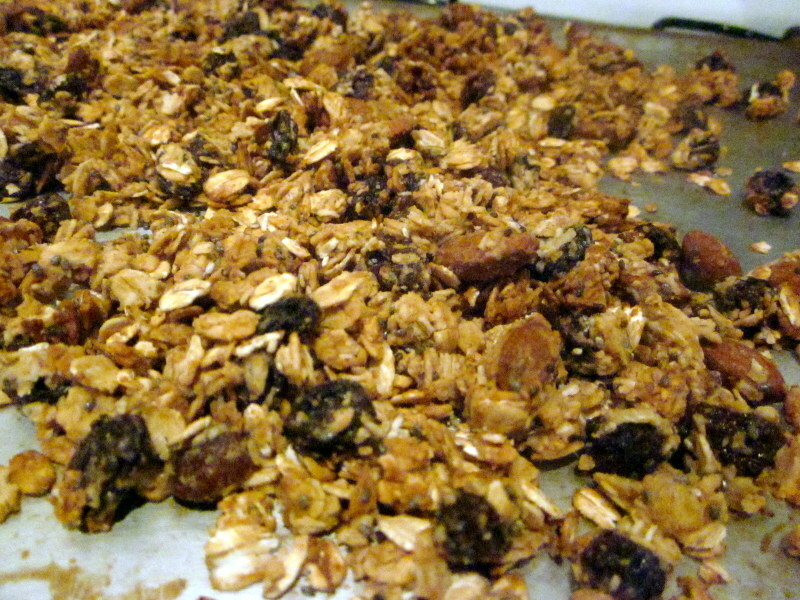 This granola recipe is also very versatile; you can use any combination of dried fruit and nuts that you want. It’s perfect for on top of Greek yogurt or as a snack all on it’s own. I hope you enjoy it as much as I do! 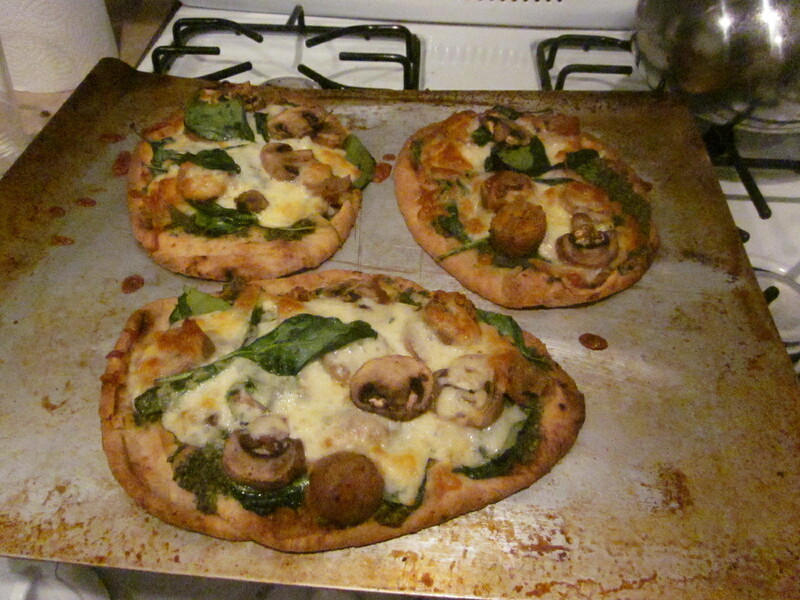 When I was at Whole Foods getting the ingredients to make these babies, I couldn’t find prepared pizza dough anywhere! However, I did find some whole wheat naan bread that I figured would make a suitable substitute. I am proud to say that my budding chef’s intuition was correct! Preheat oven to 400° and spray a baking sheet with oil. 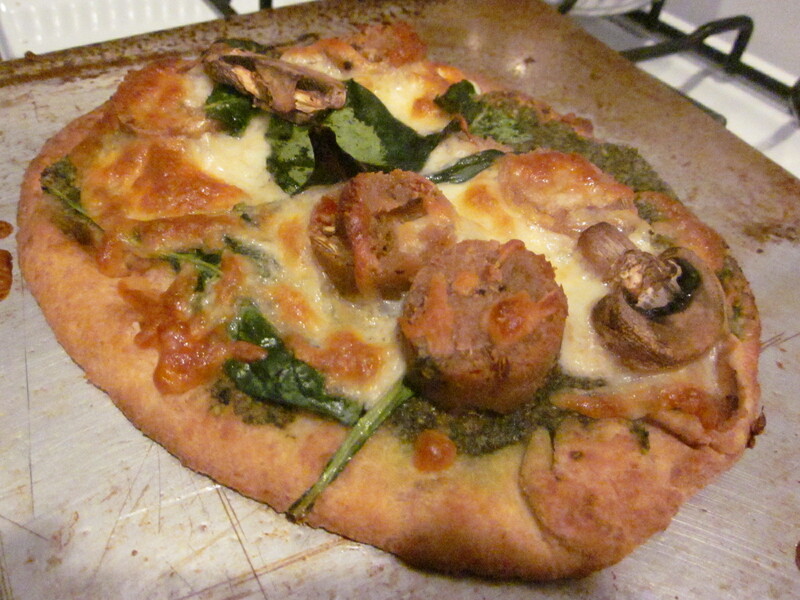 Spread pesto on top of naans, then layer spinach, mushroom and sausage before sprinkling about ¼ cup cheese on each pizza. 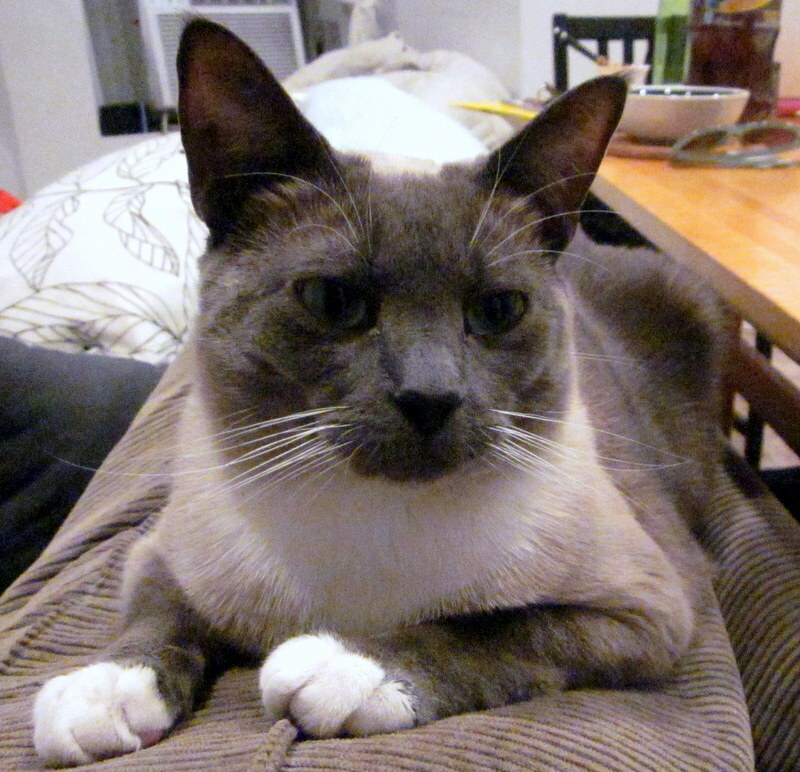 Put in the oven and bake until cheese is melted and slightly crispy (about 15 minutes). Blend together walnuts and basil in a food processer then add the rest of the ingredients and blend until relatively smooth. You can add more water/oil if your pesto is looking too dry. So easy right?